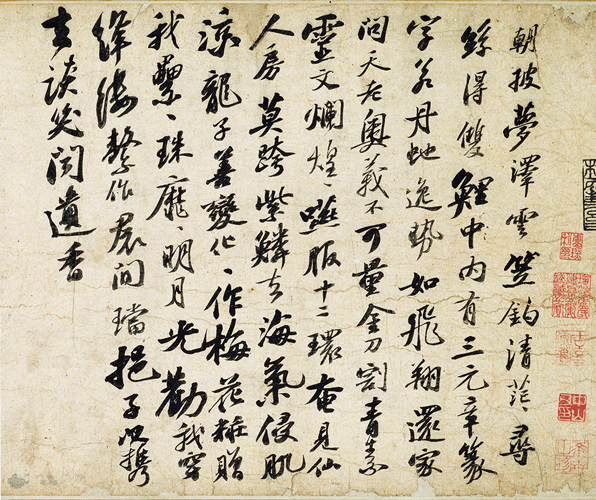 During the Tang dynasty of China (618–907), three great calligraphers–Ouyang Xun, Yu Shinan, and Chu Suiliang–perfected the style known as "standard script." 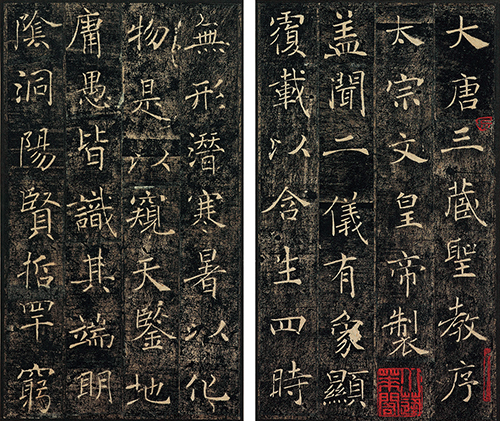 While inheriting the tradition they established, Yan Zhenqing (709–785) succeeded in establishing his own style of calligraphy, which would have tremendous influence for ages to come. Bringing together exquisite works from collections in Japan and abroad, this exhibition will explore Yan Zhenqing and his work, its influence on future generations, and its reception in Japan. It is taking long to view the work Draft of a Requiem to My Nephew (National Palace Museum, Taipei) due to overcrowding. Please allow yourself sufficient time to spend at the museum. Yan Zhenqing hailed from Linyi in Langye (modern-day Shandong Province). His courtesy name was Qingchen. He passed the examination to become a civil servant at age 26. His upright, honest character vexed his superiors and he was demoted several times, but he came to the rescue of the imperiled Tang dynasty during the Anshi Rebellion. 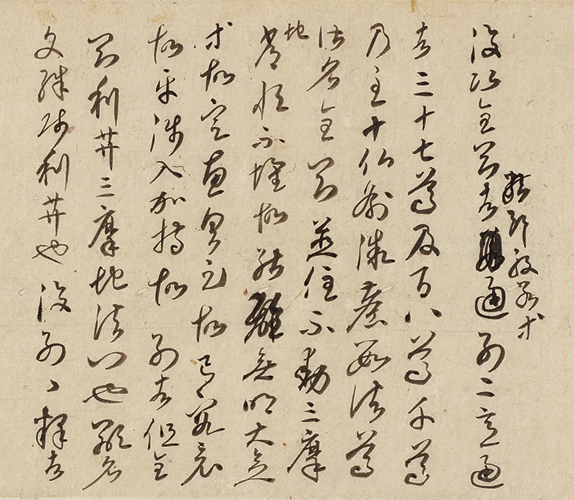 While inheriting earlier calligraphic traditions, his powerful writing style also broke new grounds. As with letters, Chinese characters are used to write down words, preserve their meaning, and communicate them to other people. To fulfil these tasks, there needs to be a certain quantity of these characters and their usage needs to be systematized. The oldest extant examples of characters that match these stipulations are found on oracle bones dating back to China's Yin dynasty. The next examples date from the end of the Yin dynasty. Known as jinwen, these were inscribed on bronze vessels. The characters were later standardized after the first Qin emperor unified the country in 221 B.C. This marked the establishment of seal script as the official script. Seal script has a sublime beauty marked by a right-to-left symmetry and an abundance of curved lines. However, it takes a long time to write out, so it was eventually simplified. This process led to the emergence of clerical script, which became the official script during the Later Han dynasty. 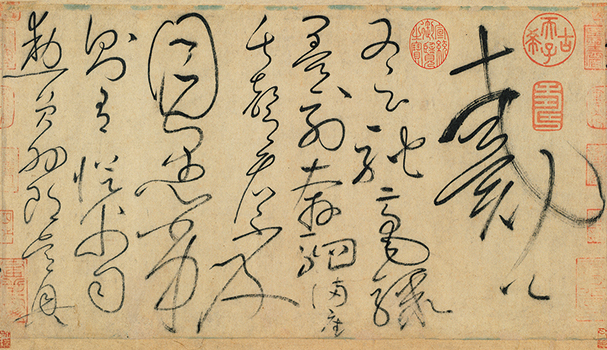 Clerical script is characterized by strokes that sweep from the upper left to the lower right like heaving waves. The pursuit of practicality and faster writing then saw clerical script evolving into cursive and running script. Eventually, clerical script was replaced by square-shaped standard script as the final official script. After the north and south of China were unified during the Sui dynasty, standard script reached its completed form around the start of the Tang dynasty. Marked by a beautiful symmetry, standard script remains the regular way of writing Chinese characters to this day. 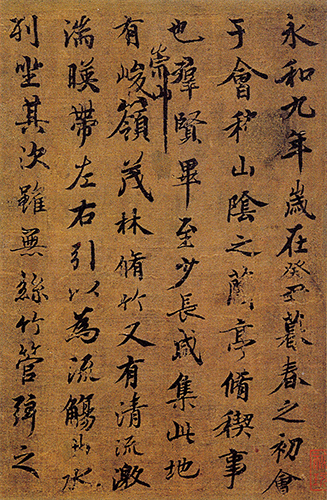 Wang Xizhi's penmanship was greatly admired by the second Tang emperor Taizong, who assumed the throne in 626. 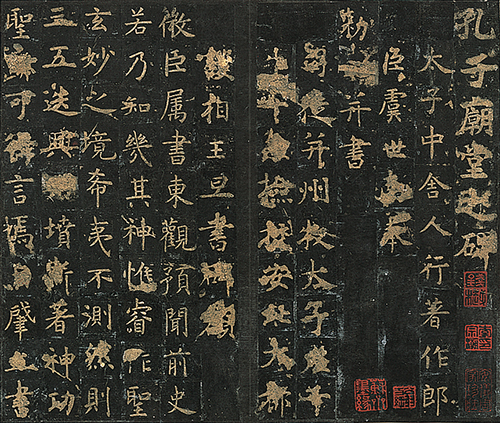 The emperor spent considerable sums collecting Xizhi's work from all over China. 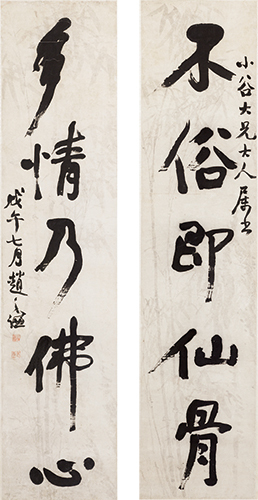 As a result, the opportunity to view Xizhi's calligraphy was lost to the general public. Taizong obtained Preface to the Lanting Pavilion, Xizhi's masterpiece, from the monk Biancai using underhand means. He then ordered Yu Shinan, Ouyang Xun, Chu Suiliang, and other master calligraphers to copy the original work, and he had his best artisans make elaborate reproductions. However, Taizong loved the work so much that he was buried with it, so the original was lost to the world after just 296 years in existence. In this way, Wang Xizhi was deified by Emperor Taizong. Ouyang Xun and Yu Shinan were born in the state of Chen and reached maturity during the Sui dynasty. In their later years, they both served under Emperor Taizong. 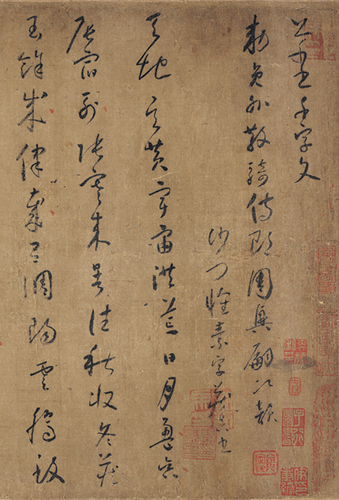 While following in the traditions of Wang Xizhi, the two men perfected the use of standard script. 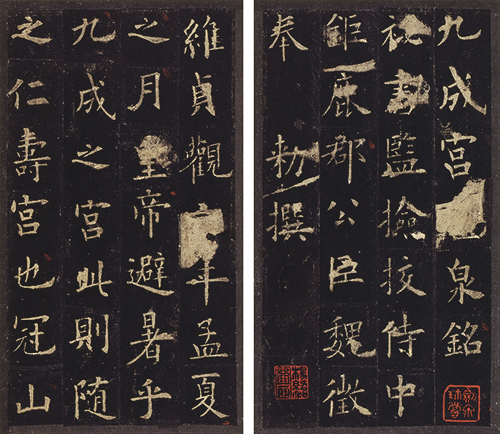 Ouyang Xun produced the highly-accomplished Inscription on Stele at Sweet Spring, Jiucheng Palace, while Yu Shinan's masterpieces include Inscription on Confucius Mausoleum Stele, a gentle work with a concealed vigor. Chu Suiliang appeared on the scene around 40 years later. He produced Inscriptions on Yanta Pagoda Steles, which were infused by the opulent spirit of the Tang dynasty and whose writing style went on to dominate the world of calligraphy. Emperor Xuanzong became the sixth Tang emperor in 712. He was very fond of the magnanimous grandeur of clerical script. The voluptuous flamboyance of this script influenced other writing styles and it revolutionized the written form. Calligraphers were no longer bound by tradition and they would now express their feelings without reserve. Zhang Xu would get drunk and then wield the brush while shouting, for example, but his works still received high acclaim and his style was inherited by the monk Huaisu. The Tang period underwent drastic changes as a result of the Anshi Rebellion. 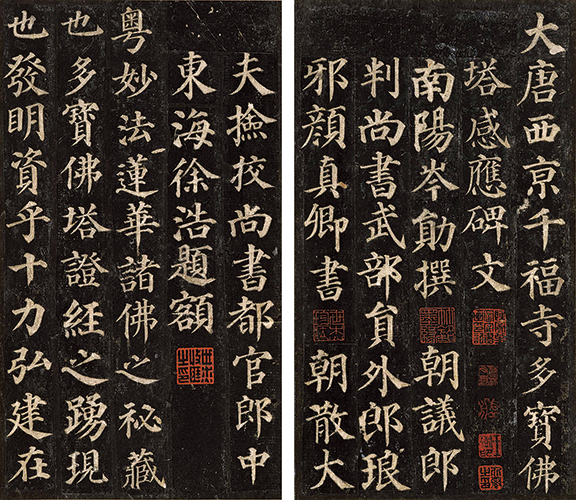 Not only did Yan Zhenqing help to save the imperiled Tang dynasty, he also reflected the changing consciousness of the times to brilliant effect in his calligraphy. With its roots in the writing styles of Chu Suiliang and others, standard script now engendered a new way of writing known as "Yan style." This was characterized by powerful brush strokes and a sense of profundity, and it later became the basis for the Mincho ("Ming-style") typeface. After his nephew, Yan Jiming, died a violent death during the Anshi Rebellion, a heartbroken Yan Zhenqing wrote Draft of a Requiem to My Nephew, a masterpiece that bears comparison with Wang Xizhi's Preface to the Lanting Pavilion. The latter work only survived for 296 years, but Draft of a Requiem to My Nephew is still with us after 1,261 years and it continues to move many people to this day. On Exhibit for the First Time in Japan! This is the draft of a requiem for Yan Zhenqing’s nephew, Yan Jiming. Yan Zhenqing wrote this masterpiece when he was 50. It is infused with grief for his nephew, who died young during the Anshi Rebellion, as well as hatred for the rebel leader An Lushan and the traitorous Wang Chengye. Advance tickets will be on sale at the museum ticket booths (during museum opening hours excluding the last 30 minutes) and other major ticketing agencies from October 17, 2018 to January 15, 2019. * Advance pair tickets (two admissions, 2400 yen) will be on sale at the Museum ticket booths (during museum hours, 30 minutes before closing hour) and other major ticketing agencies from September 19 to October 16, 2018. With the Special Sponsorship of Daiwa House Industry Co., Ltd. Catalog, Audio guide The exhibition catalog(2,800 yen) is available at the Heiseikan Special Exhibition Shop and at the museum shop in Honkan (Japanese Gallery). Audio guide (Japanese, English, Chinese, Korean) is available for 550 yen.